Updated 9.42pm with more details - A fresh controversy has erupted between Malta and Italy over who should assume responsibility for 171 migrants picked up by the Italian Coast Guard after they refused help by Maltese rescuers. Italian Interior Minister Matteo Salvini late on Wednesday said that Malta should take the migrants since they sailed through Malta's rescue zone but were ignored by the Maltese authorities despite being in difficulty. 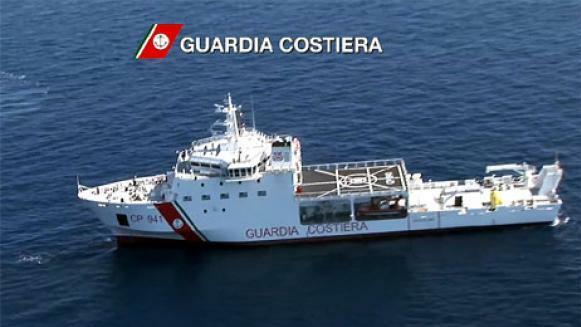 The migrants, however, were subsequently picked uo by the Italian coastguard vessel Diciotti. Malta retorted on Thursday that the boat was not in distress, it had a right of passage, and the migrants were picked up closer to the Italian island of Lempedusa than Malta itself. 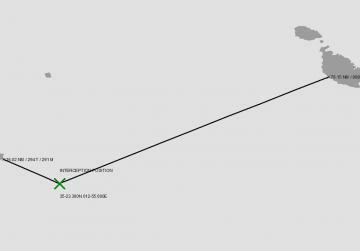 The government explained that the boat had refused assistance from a Maltese patrol boat which had monitored it while it was in transit through the Malta search and rescue zone. "The migrants insisted that they did not require assistance and wanted to continue heading to their intended final destination, namely Italy. Hence the AFM continued to monitor the boat to fulfil a duty for care." "Interestingly, the Rome MRCC showed no interest on the safety of migrants when the boat was in Libya’s SRR and they were inconsistent with efforts to provide assistance between one SRR and another, when the situation on board remained the same. "This means that the Italian RCC has no legal claim when asking Malta to provide a safe port for the latest case," the government said. A map issued by the Malta government showing where the migrants were picked up. The controversy is the latest between Malta and Italy since the new Italian government took over and imposed a hard line on migrant arrivals. Salvini has closed Italy's harbours to migrant rescue vessels and insisted Italy cannot take more migrants, arguing in some cases that they should be taken to Malta.